About five years ago a friend and colleague (who is also the most knowledgeable Nurse and Geriatric Care Manager I’ve ever known, said, “Today’s drugs are so powerful that we’re often taking poison in non-lethal doses.” She was reminding me that while we often hear about the potent life-saving benefits of today’s super-drugs, we rarely acknowledge their potential for life altering damage, a.k.a. Adverse Drug Reactions (ADRs). After our discussion, I did some basic research which changed the way I look at medications for my family and clients, and for myself as well. Adverse Drug Reactions (ADRs) are the 4th leading cause of death in the U.S., ahead of pulmonary disease, diabetes, AIDS, pneumonia, accidents & automobile deaths. No drug is without risk and all medicines have side effects. Some cause minor problems, others cause more than 100,000 fatalities and the hospitalization or serious injury of more than 2 million people in the United States each year. The risks of serious side effects increase with age. Decreased body size, altered body composition (more fat, less water), and decreased liver and kidney function cause many drugs to accumulate in older people’s bodies at dangerously higher levels and for longer times than in younger people. 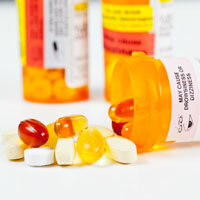 Research tells us the risks increase exponentially starting with 4 prescriptions. Other research states that taking eight medications can raise your risk for serious ADRs to 100%. The majority of ADRs are preventable and may be due to inaccurate diagnoses of the patient’s condition, errors in drug selection or dosage, an undetected medical, genetic or allergic condition, and self medication or not following physicians’ instructions for taking the medication. Trust me; what you don’t know can hurt you. (See bullets above.) Most drugs have more than one use. To make sure this prescription fits your needs, ask why your doctor is prescribing it. This knowledge also provides the motivation to cope with side effects or pay the costs of the drug. What if I don't take this medication? What are the potential adverse reactions from this medication? Can I take this medication with all of my other medications?